During their fellowship, Erdmann will work on a semi-autobiographical environmental installation on the subject of American illiberalism. Weaving together film, sculpture, photography, and texts, the installation will explore the way our past has led us to the current moment of social and political crisis. 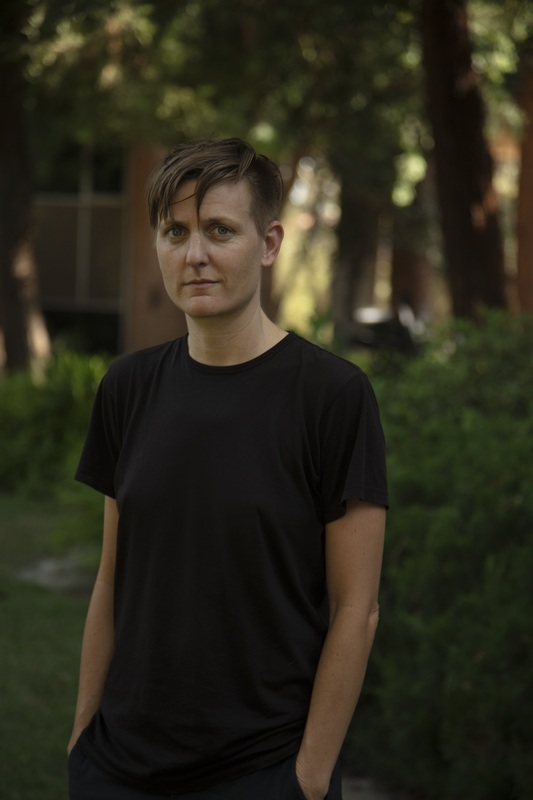 Erdmann, whose work addresses the politics of place, class, and the body, recently introduced a cross-section of New School faculty to their practice with three samples of stunning visual work. Erdmann, who grew up in the San Diego area and completed their MFA at the University of California, San Diego, in 2008, is an avid motorcyclist whose work examines the “comparatively cheap thrills of motorcycling and the high price of stimulant use to tie together the working class and poor, legacies of war, and the subcultural thrill of speed.” Much of their work is informed by their complicated relationship with their politically conservative working-class family. Erdmann and Helene Kazan were selected as Vera List Fellows from a pool of more than 200 applicants from 35 countries and will develop projects inspired by the center’s focus theme for 2018-2020, “If Art Is Politics.” Erdmann plans to spend ten months of the next two years at The New School, working on their project and interacting with the university community. They will be returning to The New School beginning in February 2019. The center’s most recent fellows were Casey Gollan and Victoria Sobel of Free Cooper Union and Lawrence Abu Hamdan, a Beirut-based artist whose fellowship project was part of the Vera List Center’s Post Democracy series of programs. Other former fellows are Maurice Berger, Jill Magid, Lorraine O’Grady, and Walid Raad. VLC Fellows receive research support from New School faculty, an individually assigned graduate student assistant, a public platform for the presentation of their work, short-term residencies in New York City, and a stipend of $10,000.